SUPRA is pleased to continue celebrating its 10th year of business with the release of Decade x Reflection Skytop III, the third installment of the series. For the Decade Series, Muska designed a limited edition colorway of each of his four Skytop models from the original vulcanized Skytop 001 to the futuristic Skytop IV. For the Skytop III, Muska chose the theme of “Reflections,” and incorporated literal and figurative elements of that concept into the design. 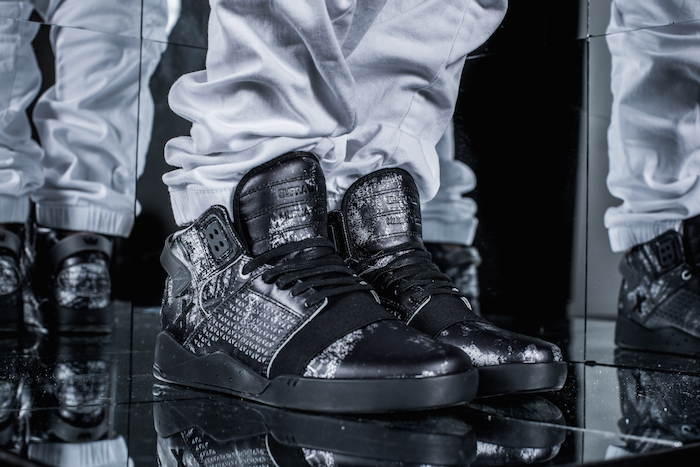 Composed of silver foiled leather, the upper of the Skytop III has been covered with black distressed paint to compliment the reflective theme and rugged athletic construction of the shoe. 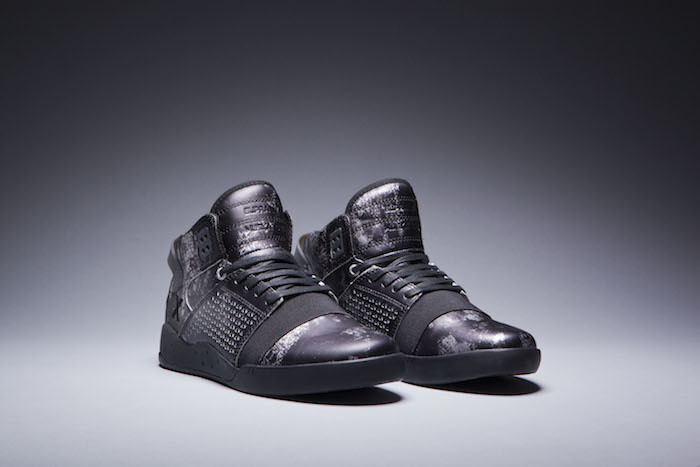 A black SUPRAFOAM midsole, elastic vamp band, flat waxed laces, and a custom embroidered Decade “X” at the quarter augment the bellicose look of the shoe while silver and opaque hardware elements add to the reflective theme. A translucent ice outsole reveals an underlying “Forever” print within the sole construction while a “Forever” sock liner ensures optimal internal comfort. The Decade x Reflections Skytop III arrives to better footwear retailers soon. To learn more about the Decade Series, please visit suprafootwear.com.